During February half term four cadets from Greater Manchester ACF took part in and successfully completed the Senior Cadet Instructor Course (SCIC). We thoroughly enjoyed it and made lots of new friends. 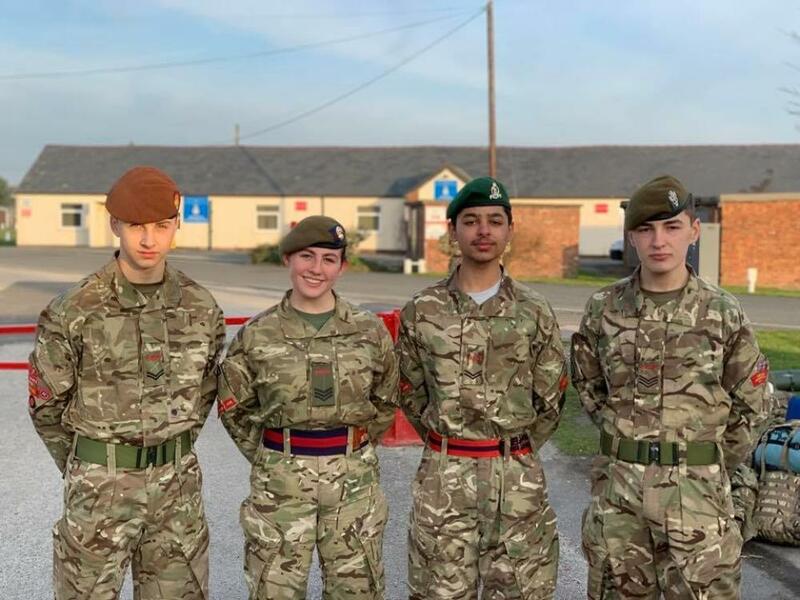 Over the week we prepared and completed a Skill at Arms (SAA) lesson, a Fieldcraft Lesson, and a Fieldcraft Exercise whilst being assessed by the Cadet Training Team throughout the week. Within the fieldcraft exercise we undertook intense training which included section attacks, night observations, TIWAF (Training in Woods & Forests) and TIBUA (Training in Built up Areas. We also took it in turns completing different leadership roles throughout the exercise. 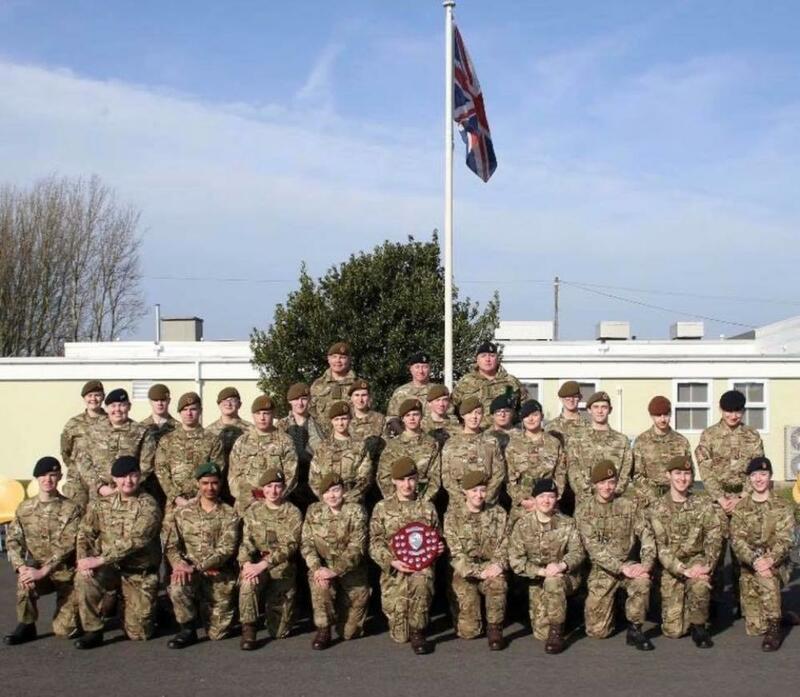 The cadets who attended were myself, Colour Sgt Toryn Blackwood Wigan Detachment - No 5 (Anzio) Company, Cpl Rob Sculthorpe Leigh Detachment - No 5 (Anzio) Company, Cpl Ahmed Baig Manchester Academy - No 4 (Korea) Company and Sgt Rio Wolstenholme Reddish Detachment - No 3 (Somme) Company. The course photo, with Cadet Sgt Rio Wolstenholme in the centre, shows his plaque after being awarded with Top Student for the SCIC. On my last company weekend camp in March I was promoted to Colour Sgt by my Company Commander Major Macdonald. For this I was really happy and will continue to be the best that I can be. 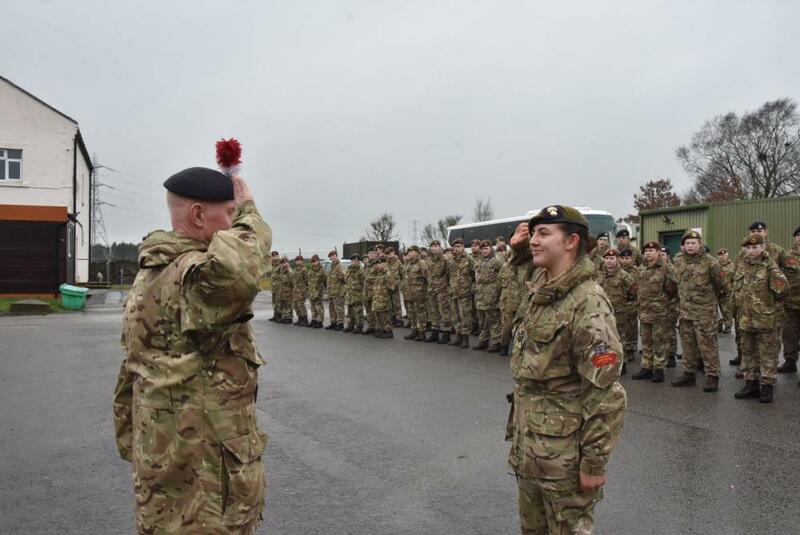 We would like to thank everyone who helped us from Greater Manchester ACF get to the level we needed in order to complete the SCIC and thank the Cadet Training Team for their hard work and support during the course.